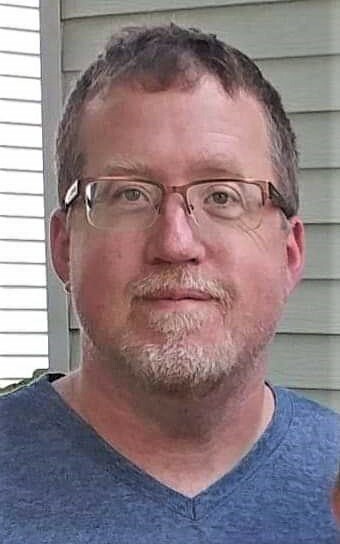 The memorial service for Michael E. Hilger, 48, of Stewartville, MN will be at 11:00 A.M. on Friday (December 14, 2018) at Zion Lutheran Church in Stewartville, MN with Rev. Byron Meline officiating. Mr. Hilger died on Thursday (December 6, 2018) unexpectedly of natural causes in Stewartville. Michael Eugene Hilger was born on March 4, 1970 in Sheboygen, WI to Thomas and Karen (Dotzert) Hilger. He moved often as a child and young boy when his father began his ministry as a Lutheran Pastor. The Hilger Family moved to Hays, KS where Michael attended Hays H.S. graduating in 1988. He then attended Ft. Hays State University for 3 years where he majored in music. He attended Central Bible College in Springfield, MO earning a 4-year degree in Bible Studies. Michael was married on June 24, 1989 in Hays, KS to Crystal R. Bangle. Following their marriage the couple lived in Springfield, MO. He next received calls to the Assembly of God Church as Assistant/Youth Pastor in Lewiston, Maine (1999-2000). He was then called to serve as the Senior Pastor in Leroy, KS (2000-04). From there he was inspired to move to Stewartville where he was Pastor at River of Life Assembly of God Church until 2008. The Hilger’s were later divorced and Mike has continued to make his home in Stewartville. He has been employed for a number of years with Kwik Trip Co., serving the past 3 years as store leader at their Spring Valley location. He attended services at Zion Lutheran Church and had recently become keyboardist and music leader at their Saturday evening service. Mike was always ready to give his time and talents. He grew up in a musical family playing multiple instruments, including alto saxophone in H.S. marching band and was a drum major in college. He helped chaperone many Stewartville Marching Band trips, parades, and competitions. He also volunteered with Rochester Area Youth for Christ, Paws and Claws, and the Robotics Team at Austin H.S. In addition, he coached his kids soccer teams. Michael also enjoyed photography and LED lights! He was a collector of “things” and followed the Kansas City Chiefs. His children were his everything and he loved time spent with his family. Michael is survived by his children; - Gabriel of Eagle Lake, MN; Brooke of Stewartville; KyAnne of Springfield, MO and Nathanael of Stewartville; his fiancée – Franny Madison of Austin, MN and her children – Joshua, Gregory and Aaron; his father – Rev. Tom Hilger of Stewartville; sister – Debbie (Julio) Blanco of Louisville, CO; 2 brothers – Steven (Sherry) Hilger of Lee’s Summit, MO and David (Jen) Hilger of Norman, OK; nieces and nephews – Anna Blanco, Max Blanco and Shannon Blanco, Kathryn Hilger, Jake Hilger and Matthew Hilger. He was preceded in death by his mother – Karen Hilger and 2 infants who died prior to birth - Grace -2001 and Christopher - 2002.